The highly anticipated third book in Kiera Cass’s #1 New York Times bestselling Selection series, The One will captivate readers who love dystopian YA fiction and fairy tales. The Oneis perfect for the fans who have followed America’s whirlwind romance since it began—and a swoon-worthy read for teens who have devoured Veronica Roth’s Divergent, Ally Condie’sMatched, or Lauren Oliver’s Delirium. 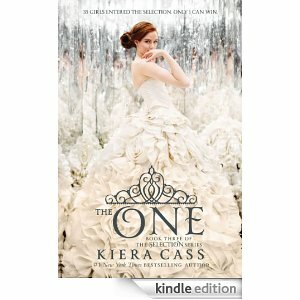 Find out who America will choose in The One, the enchanting, beautifully romantic third book in the Selection series. What other books are YOU excited for? For the past five years, Hayley Kincaid and her father, Andy, have been on the road, never staying long in one place as he struggles to escape the demons that have tortured him since his return from Iraq. Now they are back in the town where he grew up so Hayley can attend school. Perhaps, for the first time, Hayley can have a normal life, put aside her own painful memories, even have a relationship with Finn, the hot guy who obviously likes her but is hiding secrets of his own.Will being back home help Andy’s PTSD, or will his terrible memories drag him to the edge of hell, and drugs push him over? 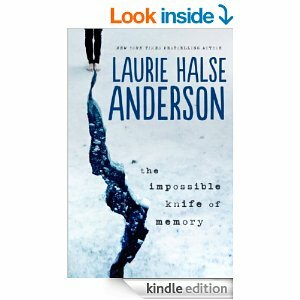 The Impossible Knife of Memory is Laurie Halse Anderson at her finest: compelling, surprising, and impossible to put down. First, I have to share that I also got to meet the author of this book last month on the girls gone sci-fi tour and she was super sweet! The concept was original. I’ll definitely give it that. I never really knew what to expect because every idea I had got thrown into the water and proved me wrong. However, I’m not sure if it was me trying to hurry and figure out what was happening, or the story, but there were some parts where I just wanted to click on and rush the story. This often happens when I’m excited about the story, so I’m not entirely saying this to be negative. Honestly, I’m not! Next, the book is meant to be a stand alone. So, the “next” book, Vitro, is loosely related, but not at all related. I’m bummed. I want more from Pia and Eio. I haven’t read Vitro yet, so I don’t even know if they’re mentioned, but I’m assuming no? I hope so, but I doubt it as that defeats the point of a stand alone. At the very least, I want an epilogue of sorts or SOMETHING! I need to know the rest of their story. WHAT HAPPENS NEXT?? 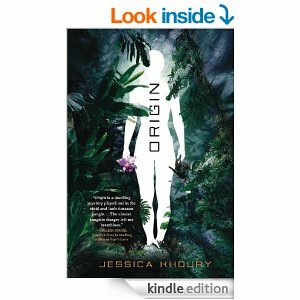 I highly recommend Origin…it is Sci-Fi without being TOO Sci-Fi. Vitro sounds like it is more Science-y, so I’m pumped to read it soon and see how, if at all, it connects to the events in Origin. *Bet no one believed me when I said another post was coming so soon, huh?? In the third and final installment of THE FEATHER TRILOGY, Lucy finds herself all alone. Nathaniel, Roman, and Anastasia are most likely in the clutches of the powerful Demon, Malachi, and it is all Lucy’s fault. She is determined to save them, no matter the cost. Enlisting the help of friend Gavin, the pair embark on a harrowing, cross continent journey. Relying on Lucy’s memory, Gavin’s charm, and help from some unlikely sources, the hunt is on. But what they find at the other end of this expedition is beyond their wildest nightmares. Lucy has no idea how much she will have to risk to save them all. FAITH takes the reader on a powerful journey ending, exactly one year after it all started, at a battle of the ages where the fate of human kind will be decided. Filled with exhilarating moments, romance, humor, and heartbreak, FAITH is the perfect ending to Lucy and Nathaniel’s love story. It should be noted how much I love this series. I read the first two last year sometime as a read 4 review in a group on GoodReads. I wasn’t expecting that much, but I instantly got HOOKED. The second book’s ending was such a massive cliffhanger that I have been needing the last book and asking the author about it since I finished book 2. When I finally got notice that the book was out I was in the middle of a couple things and it had to wait. It almost killed me to wait. 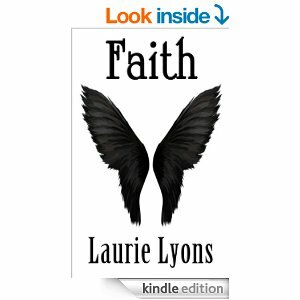 Faith picks up exactly where the last book ended and the action instantly started. I had to wonder if Laurie meant for the character of Gavin to be such an integral part when she originally started on him. I also can’t help but wonder if she had the ending set from the get-go or if it was one of those surprised-the-author things. Furthermore, I’ve always been intrigued by the use of religion in these books. Yes, we’re discussing angels and demons, so it is to be expected, but Laurie has some pretty profound lines regarding beliefs that I absolutely love. HOWEVER, it is not to where it would be crazily overwhelming to someone who is not interested in the topic. In all, book 1 still remains my favorite in the series, but this was a great conclusion. I was in awe of where the story went. I honestly thought that saving everyone was going to be the point (FYI, Lucy is not coward!). I loved learning more of Nathaniel’s background in this one. But…that ending. Y’all. THAT ENDING. Great series! I highly recommend all of the books. They’re only 3.99 a piece on kindle all the time! I had the opportunity to attend the Fay B Kaigler Children’s Book Festival at the University of Southern Mississippi. I attended the festival last year and enjoyed it, so I was glad to be able to go back. In fact, this time I even presented a workshop at the festival and was able to share different ideas for things teachers or librarians can teach parents on how to work with their children on reading. As a first year teacher/librarian this presentation was slightly daunting, but I loved it and ended up getting positive feedback. The biggest part of the festival is talks from different authors. The featured medallion winner this year was Christopher Paul Curtis. My mom was excited because Bud, Not Buddy is her favorite book, so she loved getting to meet him and get her book signed. There were also talks from Kathy Appelt, MT Anderson ( who was HILARIOUS! ), Leda Schubert, and David Small and Sarah Stewart. I loved Anderson’s talk since his books lean more towards YA than the other authors. Small and Stewart were also great and were an amazing view of what love and a marriage should look like…not that that is why they were there. I’m just saying though, I want to be like them when I’m married. Next year though…DAVID LEVITHAN is going to be at this festival!! I geeked out when I saw the flyer announcing next year’s speakers. My mom and several other ladies I spoke to had no idea who he is, but I made sure to tell the person in charge of the festival how crazy excited I am for him. In all, if you live in the south then I highly recommend attending this conference sometime! I can’t with this book. Today is Thursday and I finished TAT on Sunday. I’ve honestly been trying to figure out what to say. 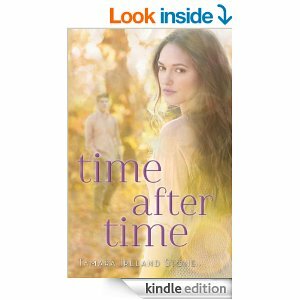 I LOVED Time Between Us and was so excited for Bennett’s side of things in this book. I was not let down! At all. Side note: I waited awhile to buy this one and got it about 3 weeks about when I saw Tamara in Jackson at the Girls Gone Sci-Fi tour. She was so super sweet and recognized me from Twitter and my post on TBU. …I might have fan girled a tad? I only fan girl over authors—it’s weird—I know. BENNETT. His side provided a great level of depth that I needed from his character and to understand how he feels about his ability. I’m thankful that Tamara decided to go that route and allowed us to see into his mind. In fact, it made me appreciate some of the events in TBU that much more. Amazing addition to the book! WITH THAT IN MIND—-at the event she said that she has no plans to extend the series. Like I said, I can’t with this book. I adored the ending, but now I just want MORE. So—thanks, Tamara, for creating a perfect ending, but yet making me want to know even more all at the same time! Do look into this series if you haven’t read them and go back and find my review for TBU if possible.